Let it glow, let it glow! Anna and Elsa may live in a castle and have a talking snowman, but I’m pretty sure they didn’t have one of these, a Himalayan crystal salt lamp. These magical lamps are cropping up in homes across America due to their numerous healing benefits. In fact, we have several of them scattered throughout our own home and absolutely love the warm, cozy ambiance they add to a space. We recommend the So Well brand of lamps which have been beautifully hand-crafted since 2004 and derived from pristine sea beds in the Himalayan mountains, then carefully carved by artisans in – not Arendelle but – Pakistan. The fact that the So Well Himalayan crystal salt lamps are Fair Trade, ensures the workers who mine the 200 million-year-old salt from caves in India are paid fair wages. Plus, So Well has amazing varieties including: smoke grey, rare pearl white and warm amber color choices in every shape and size imaginable. They even offer one made specifically for your office desk, the USB Salt Lamp, that plugs right into your computer or any USB port; making it perfect for your desk or travel. But, good looks aside, Himalayan crystal salt lamps do more than illuminate, they actually heal our bodies in numerous ways. From cleaning and deodorizing the indoor air and neutralizing electromagnetic fields (EMF’s) to removing airborne particles such as dust, smoke, mold, pet dander, pollen and odors, Himalayan salt lamps are perfect for anyone who suffers from allergies or asthma. And, since negative ions in your home are a good thing, these lamps, when heated (sorry Olaf! ), remove positive ions and expel negative ions into the air; aiding in improved energy levels. It’s sorta like reaping the physical benefits from visiting a waterfall, the beach or the mountains without ever having to leave your home (minus the visual part. You’ll need to update your desktop wallpaper for that). 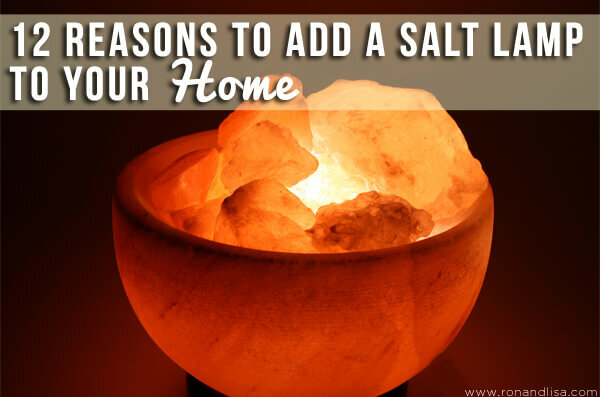 Discover the additional benefits of incorporating a Himalayan crystal salt lamp into your home below. Thanks for sharing Pauline! Great tip (and one that we’re going to borrow from you in placing one on our nightstand). Yes, multiple lamps are great throughout the home. We have some of the rare pearl white varieties (the sphere is so exquisite); they are so beautiful and work nicely in a contemporary styled home. All of the styles have their own personality! The health benefits are immense and they truly add a sparkle and warmth to any home – esp when they’re glowing at night! I would love to have one for each room of my house.